If you are a metalhead who is interested in exploring your not-so-metal artistic side, there is no better place than German Prophecy Productions. It actually used to be The End Records, but given their departure towards more commercial and more rock sounding things, I am voting for the Germans. Fittingly then, one of those not-so-metal acts which got their start on The End has now migrated to Prophecy. This act is Antimatter, a creation of Duncan Patterson (ex-Anathema) and Mick Moss. My relationship with Antimatter did not evolve in a smooth fashion and thus remains hit-and-miss. I failed to discover the band on its debut Savior, while the follow-up Lights Out still rings as one of the most disappointing albums I have heard from The End during its high art days. On the opposite, Planetary Confinement has hit home tremendously, being one of the most profound and personal albums I have in my collection. Having skipped the follow-up Leaving Eden, now is the time to face Antimatter’s defining collection called Alternative Matter, where the artists painstakingly and carefully put together a 2-disc collection of enhanced, alternative and live versions of their songs throughout discography, the sounds otherwise unavailable on their previous recordings. In a true limited edition style, Alternative Matter is also available as a 100 page artbook with three discs instead of two and another DVD. Having spun Alternative Matter for quite some time during these last two winter months, I only have my impression and attitude towards Antimatter reaffirmed. There is a side of the band, standoffish, electronic and cold, which I don’t completely comprehend. Expire (Lackluster Remix) is fitting for the ice queen whispering “final solution”, Holocaust demo is coming from the creepy chamber with a claustrophobic corner and God Is Coming is industrialized and weird, not to mention too long, starting out the second disc in a rather suspicious fashion. Saviour demo mix is a little robotic, more suitable for a modern rave bar than anything else, and Expire (Atrabilis Sunrise Remix) is no less odd, its static blips exploring deep mind crevices I apparently do not possess. At the same time, when the band is shifting it to the electroacoustic rock department I respond completely, drowning in these sounds. Live or studio versions, Mr. White and Far Away, these songs are being played just for you, their acoustic guitars enter your private room or the small corners of the local favorite coffee shop. Dream is glacial and shimmering, the female vocals reminding somewhat of The Gathering on Monsters. Lost Control has piano notes which are pure icicles dripping behind your collar, only to grow a little warmer with an orchestral touch. Antimatter can make the tenderest and penetrating music, and further reinforce it with various orchestral instruments, cello on A Portrait of the Young Man and little bells on The Art of a Soft Landing, only adding emphasis. I could not stop listening for this enhanced version of A Portrait of the Young Man for hours, and every member of my family who got to ride in my car had to have a taste as well. 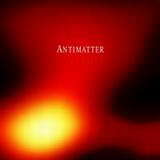 Certainly a listening experience, Antimatter is not a band for everyone. As it stands, the whole of the band output is not even a band for me, but their organic, very Sting like, electroacoustic rock is plain unmatched.